Hellmuth & Johnson wanted a new website that reflected its vitality and fresh thinking in a way that was true to its character and dramatically distinct from the competition. The result delighted the law firm and spurred traffic from potential clients. 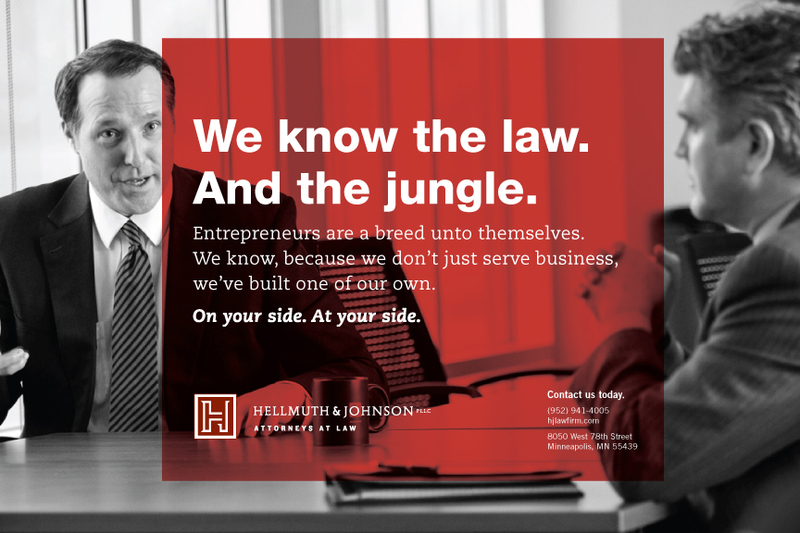 A Hellmuth & Johnson print ad. Its design carries forward the color block motif we introduced on the firm’s website. 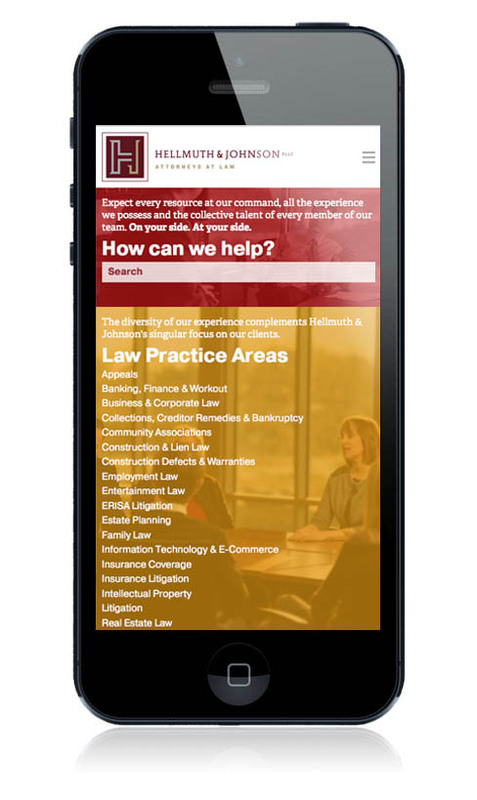 The mobile site offers all the information and functionality of the desktop version. Supervox created a website with a custom search engine that enables visitors to get where they want to go almost instantly. The site also features original photography and a clear, easily navigable structure that presents detailed information in a manner that never overwhelms.